Various countries are in the process of curriculum innovation with respect to informatics, which makes it interesting to conduct a systematic international comparison. As a first step, we focus on the analysis of conceptual content of curriculum specifications, that is, formal descriptions and guidelines. 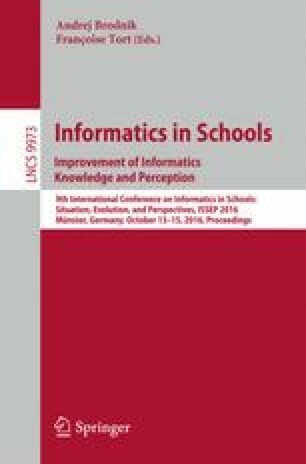 As a case study, we apply our method to analyze five curriculum specifications, including the former (2007) and new (2016) Dutch informatics curriculum for upper secondary education. The results indicate interesting similarities and differences with respect to emphasis of specific conceptual areas such as algorithms, software engineering and social aspects. The method appears fruitful to determine, for example, the position of the new Dutch curriculum relative to the former curriculum and to the three other recent international specifications.